Rune stone (U 824) at Holm Church. The rune stone has been used as a stair stone in the cemetary gate. 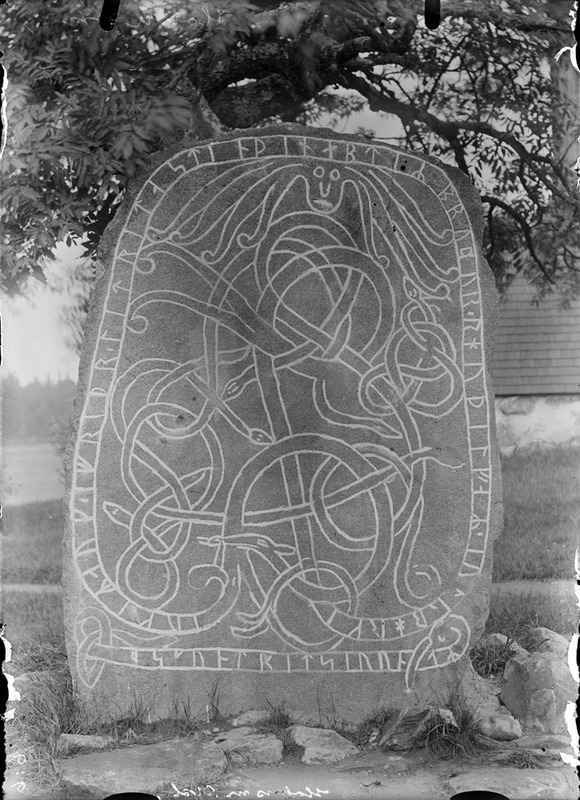 The inscription says: “Joger and Åfrid had this stone raised in memory of the brother of Rodälv in Örberg (?). Åsmund carved the runes”.